After growing up in Wisconsin, cycling has taken Nick from New Mexico to Minnesota, MTB racing (WORS), the Midwest Collegiate Series, and the roads of the Gila. UCI elite level cyclocross is Nick's true passion and he holds a pro license on the Mountain Bike. Nick is currently accepting new clients and is excited to work with athletes balancing cycling with work or family obligations, as well as young cyclists of all ages and skill levels who are excited to race cyclocross, MTB, or road. 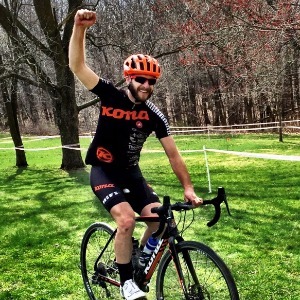 Nick has also worked at the grassroots level of organization, starting a successful regional amateur team in New Mexico called Nero Veloce, and helping to promote countless cyclocross and mountain bike practices, clinics, and races. Nick is also an author and editor of the Cyclocross 2014/2015 Photo Album of photographer Balint Hamvas' work (https://cyclephotos.co.uk/product/20142015-cyclocross-book/). Finally, Nick is currently sponsored by both Kona Bikes and HiFi Sound Cycling Components, as well as several other generous local sponsors. Nick is currently accepting new clients and is particularly excited to work with folks looking to balance cycling with work and/or family obligations, as well as up and coming cyclists of all ages and skill levels who are excited to race cyclocross, MTB, or road. Success. Coach Nick Lemke has been notified of your message.